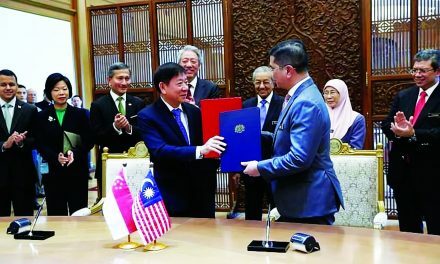 One of the key side-events at the Asean Summit was the the Asean-China summit, where both entities promised to strengthen efforts to meet the joint target of US$1 trillion in trade volume and US$150 billion in investment by 2020. ASEAN and China also announced a roadmap titled “ASEAN-China Strategic Partnership Vision 2030” in a bid to bolster ties between the two. During the Asean-China summit, Chinese Premier Li Keqiang revealed that China is expecting the Code of Conduct consultation in the disputed South China Sea to be completed soon in the hope that it would contribute to enduring peace and stability in the South China Sea. China’s premier sought to reassure its neighbors that Beijing will push ahead with reforms needed to support growth across the region and also keep the peace in contested waters in the South China Sea. “We have found the way to properly manage and defuse differences, for example, on the issue of the South China Sea in the past years,” Li said, adding that the situation was moving toward “greater stability” with progress toward a single draft text on a code of conduct in the sea. He reiterated Beijing’s hope to have a final agreement within three years. 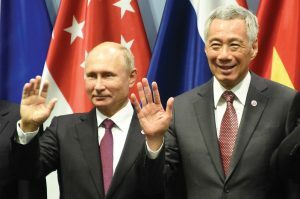 It was the Russian President Vladimir Putin first state visit to Singapore when he arrived for the 3rd ASEAN–Russia summit, 13th East Asia Summit (EAS), and 50th anniversary of diplomatic relations between Russia and Singapore, in conjunction with the 33rd ASEAN Summit. It spotlighted Russia’s efforts to broaden its relationship with the East. Four bilateral agreements between Russian and Singapore were signed on the sidelines of the visit. Bilateral trade relations have grown from S$1.9 billion (US$1.4 billion) in 2007 to S$7.4 billion (US$5.4 billion) in 2017. His attending the two summits appears to signal President Putin’s assurance to Russia’s Southeast Asian partners – in particular ASEAN – that Russia is serious about enhancing these ties. The signing of a new agreement between Asean and the Eurasian Economic Commission after the Asean-Russia Summit is expected to contribute to trade, investment and economic expansion between South-east Asian countries and member states of the Eurasian Economic Union (EAEU). The MOU signed reinforces ASEAN and the EAEU’s intent to cooperate in areas such as Customs procedures and trade facilitation; sanitary and phytosanitary measures; technical regulations; e-commerce; trade in services and investment; as well as business development. Prime Minister Lee highlighted the widening relationship between ASEAN and Russia, which was formally elevated to a strategic partnership. “We believe it is important to foster a regular dialogue between Asean and the Eurasian Economic Union,” he added, noting that trade between Russia and ASEAN has increased in the past year by 35 per cent. President Putin and Singaporean President Halimah Yacob took the opportunity to co-officiate the ground-breaking ceremony of the Russian Cultural Centre (RCC) which aims at promoting the study of Russian language and culture in Singapore, and facilitate the bilateral exchange of performances, exhibitions, and science and technology developments. A meeting was held between Prime Minister Lee Hsien Loong and Japanese Prime Minister Shinzo Abe on the sidelines of the 33rd Asean Summit and Related Summits on 15 November 2018. Both leaders welcomed the entry into force of the Comprehensive and Progressive Agreement for Trans-Pacific Partnership (CPTPP). 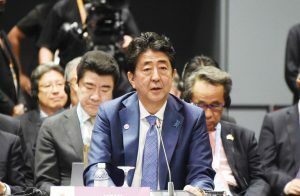 Prime Minister applauded the leadership role played by Prime Minister Abe and Japan in the CPTPP. Singapore and Japan are also working closely to achieve a swift conclusion of the Regional Comprehensive Economic Partnership (RCEP) by next year. Also discussed at the meet was the status of ASEAN-Japan relations and developments in Northeast Asia, including the situation on the Korean Peninsula. Prime Minister Lee also met Prime Minister of the Republic of India Narendra Modi. The two leaders discussed ways to deepen the mutually rewarding cooperation between Singapore and India in various areas including trade and investment, skills, smart cities, defence, and innovation and FinTech. 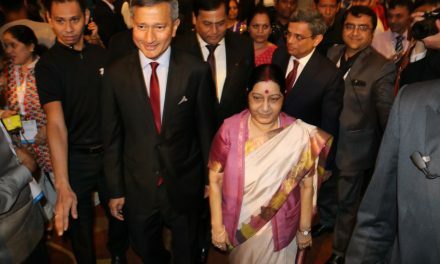 They welcomed the launch of the 3rd Review of the Comprehensive Economic Cooperation Agreement (CECA) in September 2018, and the 25th anniversary of the Singapore-India Maritime Bilateral Exercise (SIMBEX) that is currently ongoing. 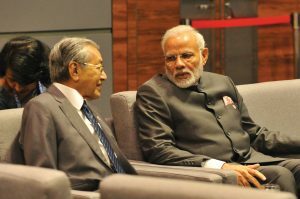 Both leaders agreed to keep up the momentum towards greater connectivity, including boosting air links, economic integration through harnessing financial technology, and concluding the Regional Comprehensive Economic Partnership (RCEP) soon. PM Modi also held several bilateral talks with world leaders— US Vice President Mike Pence; Australian PM Scott Morrison; Singapore Prime Minister Lee Hsien Loong; and Thailand PM General Prayut Chan-o-cha, on the sidelines of the 2nd RCEP Summit, East Asia Summit, and ASEAN Summit. The Indian Prime Minister also addressed the audience during the Fintech Conference along with the IMF Managing Director Christine Lagarde. He became the first head of government to deliver the keynote speech at the Singapore Fintech Festival. Speaking at the ASEAN-Republic of Korea Summit during the course of the 33rd Asean Summit in Singapore President Moon Jae-in (pictured left seated left) shared that South Korea’s New Southern Policy marks its strong commitment to prosper together with ASEAN. 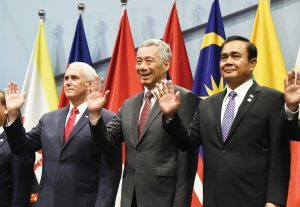 Singaporean Prime Minister Lee Hsien Loong put the spotlight on the importance of upgrading the Asean-Republic of Korea Free Trade Area, establishing an Asean-Korea Air Services Agreement and cooperating through the Asean Smart Cities Network. South Korea is the region’s fifth-largest trading partner. Both sides aim to reach a trade volume of US$200 billion by 2020. In 2016 the two-way trade in was US$118.8 billion, making ASEAN the second largest trading partner of South Korea. South Korea is Asean’s fifth largest trading partner and fifth largest investor. Links between South Korea and the wider ASEAN region go back a long way, significantly in terms of trade and investment over the 30 years of dialogue relations between ASEAN and South Korea, the world’s 11th largest economy by nominal GDP, world’s fifth largest exporter and the eighth largest importer. Having established a Sectoral Dialogue Partnership with ASEAN back in 1989 South Korea has made considerable efforts in expanding diplomatic, bilateral and economic ties in South East Asia. In 2010, ASEAN and South Korea elevated their relationship to a strategic partnership and adopted the Joint Declaration on ASEAN-ROK Strategic Partnership for Peace and Prosperity and its Action Plan, which covers the period of 2011-2015.. With the burgeoning of ASEAN economically even greater market access presents itself for all manner of goods and services. 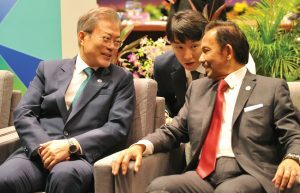 South Korean President Moon Jae-in is reaching out to strengthen these ties even further through the island-nation of Singapore, the gateway to the region. South Korea shares bilateral FTAS with Vietnam, Indonesia, and Singapore and as a signatory to the Free Trade Area (AKFTA) with all of ASEAN can accrue the benefits of the facilitation and expansion of economic, trade, and investment cooperation in the region. It is also looking at developing its role in regional trade under the RECP agenda. South Korea is also stepping up its commitment to multilateral cooperation on global issues such as climate change and disaster management. During the course of the 33rd Summit Singaporean Prime Minister Lee Hsien Loong took time out to meet New Zealand Prime Minister Jacinda Ardern. 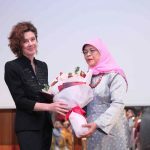 Both Prime Ministers reaffirmed the close relations between Singapore and New Zealand, which are working towards establishing an Enhanced Partnership (EP). Both leaders announced the conclusion of the 3rd Review of the Agreement between New Zealand and Singapore on a Closer Economic Partnership (ANZSCEP), which will form a key component of the EP, and are looking forward to the signing of the EP and upgraded ANZSCEP next year. They also exchanged views on regional issues. Singaporean Minister for Foreign Affairs Dr Vivian Balakrishnan and New Zealand’s Deputy Prime Minister and Minister of Foreign Affairs Winston Peters also met on the sidelines of the 33rd Asean Summit and Related Summits. Prime Minister Lee and Prime Minister Trudeau welcomed the new areas of bilateral cooperation, including the agreements signed between Cyber Security Agency of Singapore (CSA) and Global Affairs Canada (GAC) on cybersecurity cooperation, and between Infrastructure Asia (IA) and GAC on infrastructure and smart cities cooperation. Both leaders discussed regional and international developments and welcomed the entry into force of the Comprehensive and Progressive Agreement for Trans-Pacific Partnership (CPTPP), which would promote regional economic integration and bring about benefits for businesses and people in both countries. Prime Minister Trudeau thanked Prime Minister Lee for the invitation to participate in the ASEAN Summit as Guest of the Chair, and reiterated Canada’s commitment to ASEAN’s agenda. Prime Minister Lee welcomed Canada’s interest in deepening its economic engagement of the region. Canada is one of ASEAN’s ten dialogue partners – countries that enjoy a special relationship with ASEAN and have access to various dedicated ASEAN processes and meetings. Prime Minister, Justin Trudeau, successfully concluded his visit to Singapore and his participation at the 33rd ASEAN Summit. Canada is committed to deepening ties with the Asia Pacific region in order to expand and diversify trade, attract global investment, and create good, middle class jobs at home. The ASEAN region represents a significant presence in South East Asia and a considerable market for Canada. In 2017 Canda-ASEAN bilateral merchandise trade reached $ 23.3 billion. 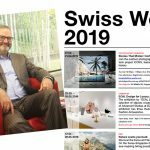 Intrinsic to Canada’s growth plans are its expansion and diversification agenda in trade and investment, in particular with emerging markets such as those in the fast-growing and dynamic markets in the ASEAN region via a slew of trade agreements for greater market access. At the ASEAN Working Lunch, the Prime Minister promoted Canada as a partner of choice for trade and investment, and stressed the importance of multilateral trade agreements that build a stronger middle class and benefit everyone. The Prime Minister also reiterated Canada’s desire to join the East Asia Summit and the ASEAN Defense Ministers’ Meeting-Plus, which would allow Canada to expand cooperation on a wide range of economic, political, and security issues. ASEAN leaders met new Australian PM Scott Morrison for an informal breakfast summit on the second day of the Summit. During the bilateral meeting between Prime Minister Lee and the Australian Prime Minister the two leaders reaffirmed the excellent relations between Singapore and Australia, which were enhanced by the Comprehensive Strategic Partnership (CSP) signed in 2015. 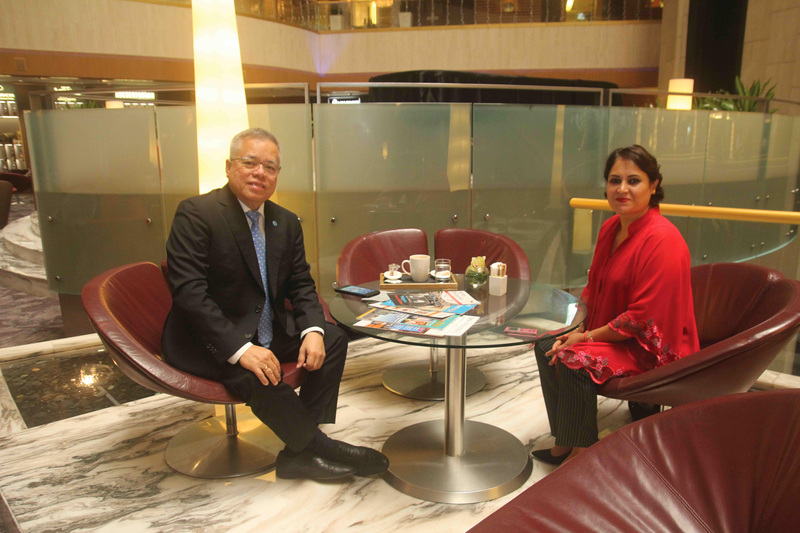 They agreed that there is scope to further deepen and expand bilateral cooperation under the CSP. 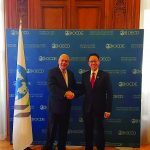 Prime Minister Morrison expressed appreciation for Singapore’s 2018 ASEAN Chairmanship. The two Prime Ministers also exchanged views on regional issues. In November 2018, ASEAN 2018 Chair, Singapore, invited Australia to join China, Japan, the Republic of Korea, Russia, the United States and innovative Singaporean companies to take part in a Smart Cities Showcase as part of the 33rd ASEAN Summits programme. 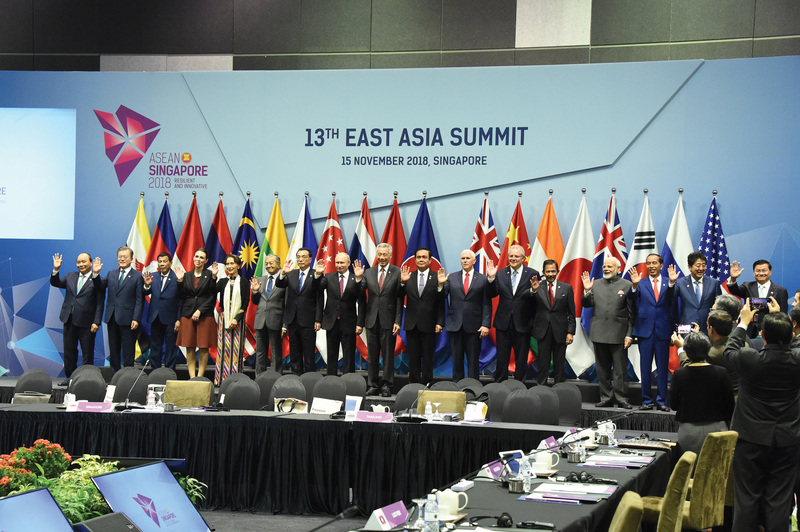 President of the Republic of Chile Sebastián Piñera was in Singapore at the instance of Prime Minister Lee Hsien Loong, to attend the 33rd ASEAN Summit and Related Summits as a Guest of the Asean Chair. 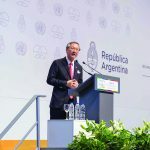 The Chilean President attended a working lunch hosted by Prime Minister Lee for ASEAN Leaders and Guests of the ASEAN Chair, with the theme of “Free Trade and the Global Economy” on 14 November 2018, as well as the Gala Dinner on the same evening. The luncheon meet was part of efforts to cement relations between the South American nation and the regional Asian bloc. 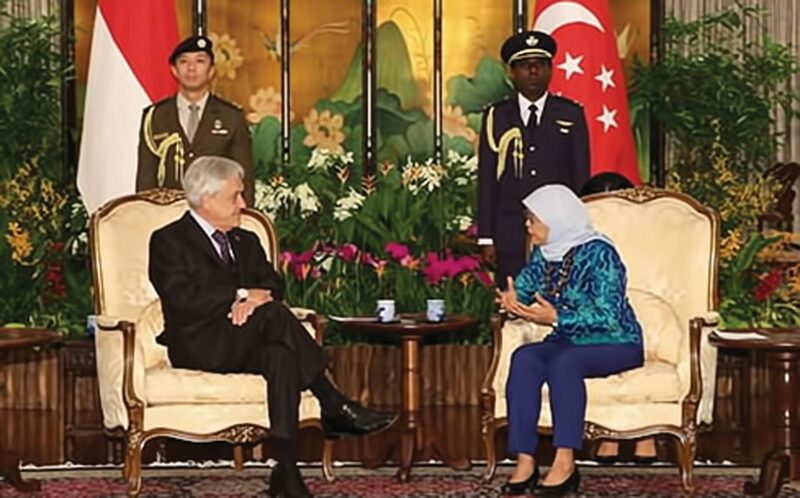 President Piñera had meetings with Prime Minister Lee Hsien Loong on 14 November 2018, and separately called on President Halimah Yacob (pictured left) at the Istana on 15 November 2018. At their pull-aside, Prime Minister Lee and President Piñera reaffirmed the warm relations between Singapore and Chile. 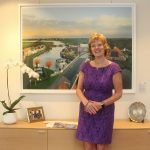 Both leaders agreed to conclude an Avoidance of Double Taxation Agreement (DTA) as soon as possible, as well as to work towards the expeditious conclusion of the Pacific Alliance-Singapore Free Trade Agreement (PASFTA). Both leaders also discussed new areas of bilateral cooperation including in the areas of digital economy, cybersecurity and health. President Piñera thanked Prime Minister Lee for the invitation to participate in the ASEAN Summit as Guest of the Chair and invited Prime Minister Lee to make an official visit to Chile in 2019 in conjunction with his participation in the APEC Economic Leaders’ Meeting in Santiago, Chile.